Lorem curabitur arcu erat, accumsan id imperdiet et, porttitor at sem. Maternity Nurses – Why should you work through an agency? Keeping our favourite little monsters entertained can be a real challenge at times. 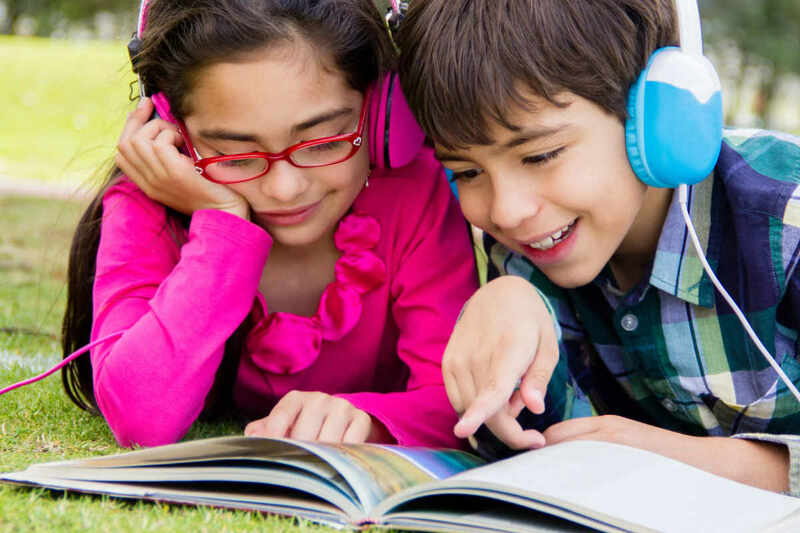 If you haven’t already delved into the wonderful world of Audiobooks, then you are really missing a treat, as they are super effective at engaging and delighting young minds. Listening to an exciting story is wonderful stimulation for the mind. It is a perfect kid-centric solution for long car journeys or grumpy sick-days and can be a great reading aid if your little one follows the text as they listen, but more than that, audiobooks will feed their imaginations! Many Audiobooks are read by names you will recognise, and you might find the narrator’s performance leaves you adults surprisingly enthralled by the story too. You can share in each adventure with your kids as they follow the narrative and fill in the fantasy with their minds. Afterwards, try discussing what they imagined the characters were like and what might happen next, for mental stimulation that is guaranteed to be so much more rewarding than screen time. Who knows, those lovely little monsters who are usually found wriggling around in an unsettling way in the back seat could be completely transformed into the most angelic travel companions! This fascinating literary classic, filled with strange creatures and mysterious occurrences is a must for any young mind. Award winning actress Sheridan Smith perfectly captures the listener with wonderful characterisation as we go down the rabbit hole with Alice. This is an unabridged version so nothing will be missed. Lewis Carroll’s creation takes us on a playful journey with concepts of morality and logic to explore a fantasy world that has inspired generations! As one of Roald Dahl’s many captivating children’s stories, Matilda will surely not disappoint. This charming story explores ideas of rebellion, kindness, justice, and the virtues of education! Matilda is a spunky, intelligent character, who finds her best self on this fantastic journey; brought to life beautifully by Kate Winslett. Stephen Fry delivers a delightfully warm reading as the beloved Paddington Bear carrying us through four different adventures in which Paddington reliably gets into all sorts of mischief, despite having the best of intentions! The stories are quirky and endlessly funny, so everyone listening will likely find laughter. The CDs come in a sturdy box set, ready to survive being carted about by kids and periodically rolling around in the car. If you haven’t already delved into the wonderful world of Audiobooks, then you are really missing a treat. Jack Dee’s dry English wit is a perfect fit for this hilarious tale, narrated from the perspective of Tuffy, the killer cat in question! Finne charmingly portrays the aloof nature of cats, while exploring the natural cycles of life and death from a gentle and humorous standpoint. This is a great tale for children with pets and those who are interested in animals. Many grown-ups will recognise Richard Ayoade’s brilliant talent for comedy and unforgettable voice from the numerous off-beat television series he has under his belt. This will no doubt help to grab you too, adult listener, as you jump into this fun rendition of The Twits by Roald Dahl. Children have been mesmerised by Dahl’s story telling for decades, and each reincarnation brings his work to another generation of would-be fans. Your little ones will be thrilled to follow the monkey Muggle-Wumps and Roly-Poly bird as they thwart the villainous Mr. and Mrs. Twit, and are introduced to the wonderful concept that “if you have good thoughts they will shine out of your face like sunbeams and you will always look lovely.” A great sentiment for young minds indeed! Go ‘Grrrr…’ with the Gruffalo, sing along with the Smartest Giant, and help Monkey search for his mum! Another wonderful box-set for your collection, The Gruffalo and Friends bring you six best selling stories with the added dynamic of rich sound effects and memorable songs that your little ones will love to sing along to! Donaldson’s tales are intended as educational, and spectacularly written in rhyme. Everyone can enjoy getting to know the half grizzly-bear and half buffalo, “Gruffalo”, and all the other animals that make up the characters in these charming tales of problem solving, morality and kindness.